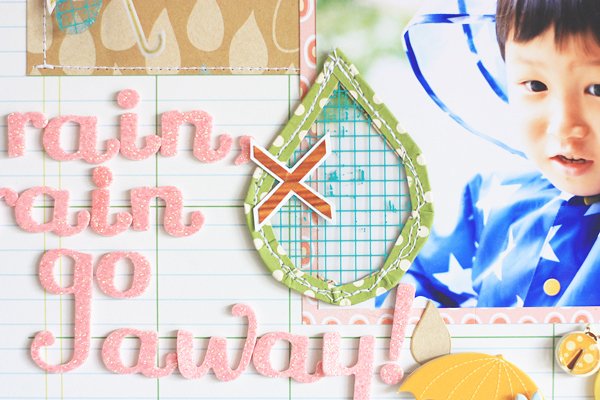 scrap communication: rain, rain go away! 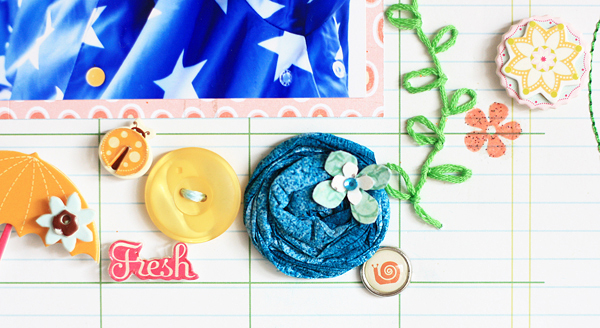 I wrote in my entry at "scrap × scrap" challenge! 3. Use ANIMALS or something such as bird, fish, flog...you chose it. I made a hydrangea using crape paper and mist. The flower that had been embossed after the stamp was added. The drop is made with a transparency. I put paper on the edge and sew it with a sewing machine. I really love it! 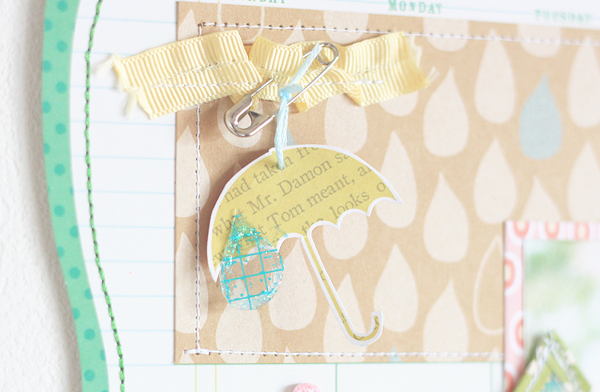 The drop is here, too :) This time, I wrote a line on the edge with a glitter pen. Thanks so much for your sweet comment Bellaidea! !